The governor has signed into law more than a dozen bills to address California’s housing crisis. Now it’s up to cities and counties to begin faithfully (or maybe not so faithfully) enacting the state’s new housing agenda. That process has already begun. The tension between cities’ traditional prerogative over local land use and the state’s broader interest in more housing for dwelling-strapped California framed much of the housing debate in Sacramento this year. Now officials in San Jose, San Luis Obispo, Redondo Beach and other locales are exploring how to work within the new rules—on their own terms. Arreguín applauds state lawmakers for finally taking action on an issue that cities have been fighting alone for years. New funding is particularly welcome. A pair of new laws offer the promise of fresh dollars for affordable housing construction via a new fee on real estate documents and a 2018 bond measure. Those proposals earned the plaudits of local elected leaders and governance groups across the state, including the League of California Cities. But like most local leaders, Arreguín also has his share of reservations, especially about measures that could make it more difficult to deny new projects they disapprove of. One will require cities that aren’t meeting their state-determined targets for housing production to offer developers an alternative, “streamlined” approval process. To qualify for fast-track treatment, new multifamily housing developments will have to meet current zoning standards, set aside a certain share of below-market units and pay their workers union wages. How many developers will be willing to tick those boxes is unclear, but proponents call streamlining a necessary measure to bypass NIMBY obstructionism. Many cities call it a usurpation of local authority. Another measure will make it harder for cities to deny new housing projects if they otherwise comply with local rules, and will raise the penalty for municipalities that wrongly do so. The city of Berkeley did not officially adopt a position on either bill while lawmakers were considering them. But a local response is now in the works. 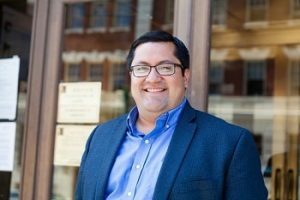 Arreguín said he is developing a Berkeley-specific streamlining process that would be available to developers in addition to the new state process. His alternative is still in its early stages, but the mayor hopes it will steer developers toward low- and moderate-income projects and those providing additional community benefits that are still undefined. 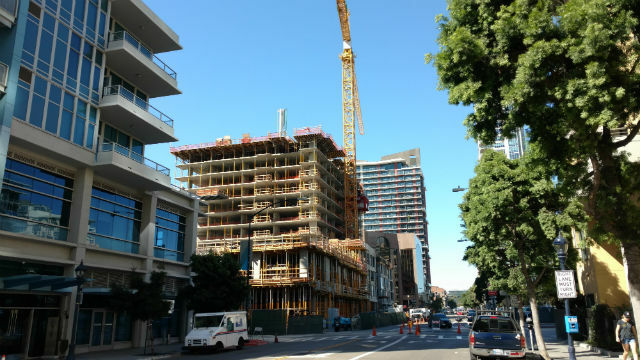 The city’s planning commission is also working on tighter zoning laws that would feature new density requirements and design standards while staying in tune with state law. “If we set local requirements that still give the city some flexibility in shaping—not denying—but shaping projects, we can ensure compliance with [new laws] and still maintain some degree of control,” Arreguín said. A similar conversation is taking place across San Francisco Bay in Corte Madera, a small town in Marin County. Ever since the town approved a 180-unit apartment complex along Highway 101 over the vociferous objections of some community members, Vice Mayor Carla Condon said the town is looking for less obtrusive ways to expand the housing stock. One option the town is considering is to waive fees and loosen regulations on secondary dwellings, those fashioned within or near a main home. This might make it easier to convert a basement into an apartment or build a tiny house in a backyard. “We’re doing our best to be compliant but also to try to maintain the small-town character that everybody really cherishes in this community,” Condon said. It’s not clear that secondary units will accommodate the town’s housing needs indefinitely. But for now, Condon says, Corte Madera is producing more housing than the state requires. While Berkeley and Corte Madera try to thread the needle between new state mandates and local interests, other cities are considering blunter instruments. Last week, Redondo Beach placed a 10-and-a-half month-long moratorium on new mixed-use development projects. According to Nils Nehrenheim, a city council member and local slow-growth activist, the ban has been in the works for years but now comes in the nick of time. “Thankfully, we’re starting this this month,” he said. City leaders have also discussed pushing back against the state’s housing-production targets, though it isn’t yet clear how. Local lawmakers often face tremendous pressure to block, stall or renegotiate unpopular projects. Soon they won’t have as much power to respond to that pressure—but that isn’t necessarily a bad thing, said Aaron Gomez, who sits on the City Council in San Luis Obispo. Decisions about land use inevitably leave some constituents unhappy. Mandatory streamlining may allow local lawmakers to blame the state if faced with angry voters. Others have quietly stomached any threat to their authority over planning as the price of the help they need. Chief among them is one that will effectively reverse a 2009 California court decision that barred cities from forcing rental-property developers to offer a certain number of new units at below-market rates. Cities across the Bay Area, in Los Angeles and even in rural communities such as Tuolumne County are all now dusting off and reexamining their old inclusionary-housing ordinances. Morales-Ferrand said she hopes the city will “turn on” the policy as soon as January 1st.